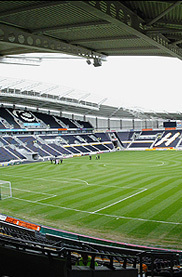 Should we be hoping for a Hull relegation? | Through the seasons before us.. I must admit Ive havent been to the new Hull KC Stadium but did have the “joy” of visitng Boothferry Crescent which was a really strange run down old place. Went on the Forest Special train which pulled up alongside the ground with turnstiles on the platform no less!! Bizarre! We lost 0-1 if I recall and some local oik decided it would be fun to chuck half a house brick through the train window soon after we set off back – which was not only bloody dangerous but damn annoying as it was freezing all the way home! Yep, tis true. Many a Hull City fan prays for Forest to come out of the draw as the home side when the opening rounds of the two cups come about, but it’s never happened. You’d like the KC. Especially on a Premier League day. Yes sorry….Boothferry Park – apologies! I’m a hull city fan and my girlfriend is a forest fan along with a couple of my mates and we had noticed this as well! I really hope you guys get back into the premiership but forgive me for hoping we also stay up. If nothing else it will allow the poster to tick the kc off his list and seeing as boothferry park was pretty grim in it’s final years I dare say it would be a better time to visit us! If we do miss each other again there is always the fa cup right? I suppose so – or we could have a pre-season exchange of friendlies? Let’s go for the promotion/survival scenario – it seems more people are happy that way! The tight rules on ground ticks mean that friendlies don’t count! Well ‘The Football League Show’ just demonstrated pretty conclusively that Gunter was pretty obviously fouled in the area. Robbed! Robbed I tells ya!